What Schedule of Reinforcement does Gambling Involve? 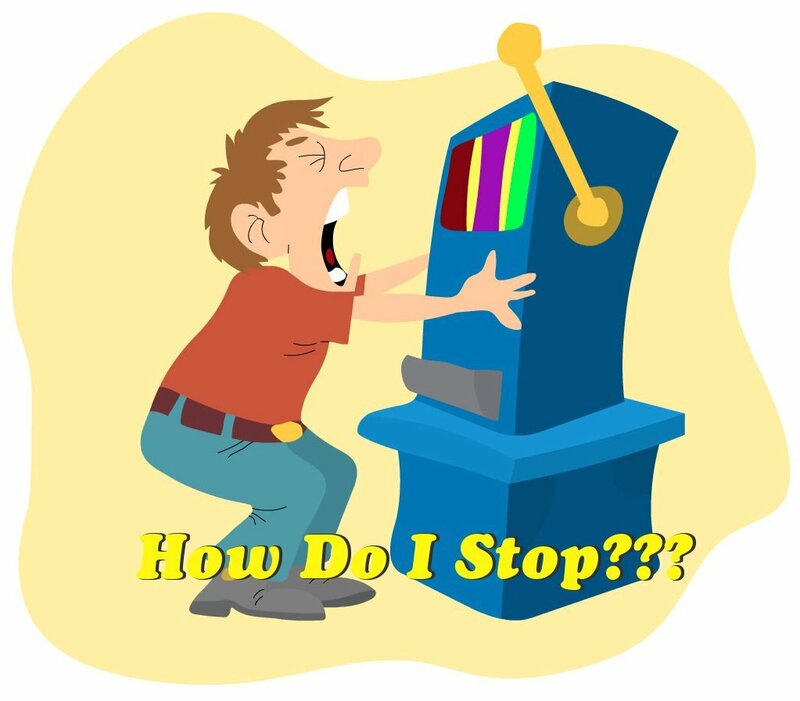 If you ever find yourself zombie-like at a Vegas slot machine, feeling incapable of stopping yourself from pulling the handle again, even though you’ve already lost a significant amount of money, know that you’re not alone. There are complex determinants of behavior that drive the need to put your money where your mouth really isn’t; a type of operant behavioral conditioning that you can rarely resist, even at the prospect of spending your last dime! Have you ever cleaned your room just so your mom would stop nagging you? If you have, then you’ve encountered the effects of operant conditioning first-hand. This involves the ways in which an organism ‘operates’ in its environment to produce a change within it. According to this, an organism’s behaviors are shaped by certain events or stimuli that follow them. If a certain response is followed by the delivery of something positive, or the removal of something negative, it is ‘reinforced’ and is believed to likely occur again. Thus, a reinforcer is something that increases the tendency of the behavior it follows. Think of all the times that you ate something unpleasant, just to have a bite of your favorite ice cream after the meal was over. Your parents carefully shaped your behavior of eating healthy food that you really didn’t want to have, whereas the expectation of ice cream positively reinforces it over the time. Evil…. but brilliant, right? All behavior does not always follow this pattern of immediate or continuous reinforcement. There are different intermittent ‘schedules’ that can make a behavior more likely to occur. Partial reinforcement is a technique of operant conditioning, where the occurrence of the stimulus that strengthens behavior is not always immediate, or even regular. It may involve a fixed or variable interval schedule, where the time that has lapsed determines the amount of reinforcement received. Weekly assessment tests and surprise pop quizzes are good examples of fixed and variable schedules, respectively. The number of responses made can also determine the reinforcement that follows and strengthens them, i.e., the ratio schedule. It can be that behavior is reinforced after a fixed number of responses made for, e.g., five correct answers to win a chocolate, which is called ‘fixed-ratio reinforcement’. The opposite, ‘variable ratio reinforcement’, does not specify the number of responses that would bring forth reinforcement with certainty. However, the expectation of something positive, or of the potential removal of something negative, drives an organism to continue making a specific response, The ‘extinction’ of that reinforced behavior becomes difficult, especially when a variable-ratio schedule is employed. You don’t know the number of attempts after which a certain behavior will be followed by a desirable outcome, but since you expect this outcome and experience it at random instances, you will continue behaving in that specific way. 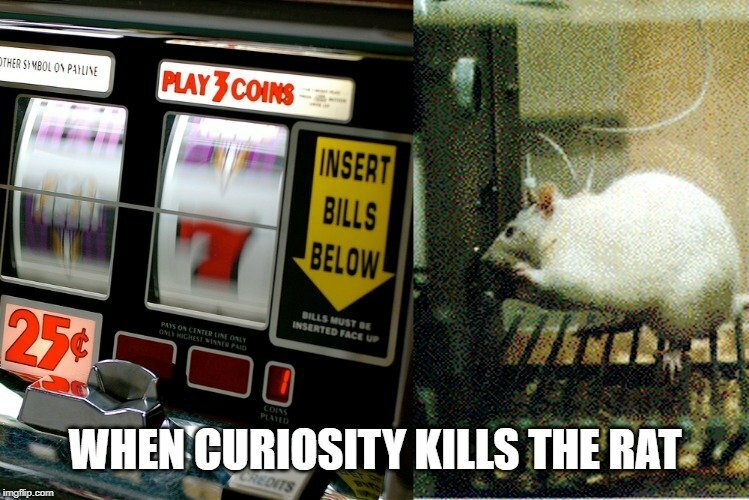 This is applicable in the case of gambling at a slot machine, and feeling unable to stop. When a person gambles at a slot machine, they’re unaware of when they will win a certain consequential amount of money, how much money and time they will need to spend to achieve that, or even if they will ever win. However, it is probable that they will continue their pursuit with the expectation of winning. It’s likely that they will receive incremental or small returns at random intervals, which act as small reinforcements for further gambling. The expectation that they could win big ‘any moment now’ is what drives them to continue gambling. However, the amount they spend far outweighs the amount they win, and the inconsistency of reinforcement makes them maintain a steady, high rate of responding, i.e., they’re unable to stop even upon discovering that the ‘jackpot’ is very difficult to hit. It’s difficult to stop gambling, as the person doesn’t know if reinforcement is simply inconsistent or has stopped for good. Does the Partial Reinforcement Schedule Apply to Everyone? It would be incorrect to say that this is universal, or that every person at a slot machine is just hopelessly waiting for a big win, without any regard for the proportion of money spent to that of the winnings. There are a multitude of complex factors that vary according to the situation or person. These schedules, along with the inherent features of slot- machines that draw people in, must be combined with the cognition or beliefs that a person holds with regards to gambling as well as certain biological factors. Distorted beliefs about gambling as a skill- based task, a sense of personal control and a faulty interpretation of near- misses as near- wins and random wins as winning streaks can lead to an increase in gambling behavior. This can be exacerbated by certain neurotransmitters and by an arousal in specific brain areas. Certain negative feelings associated with gambling and losing can act as reinforcement to stop that behavior. The avoidance or removal of these negative emotions can serve to strengthen the response of abstaining from gambling. Along with this, challenging certain distorted beliefs regarding gambling such as its perception as a skill- based task can also help avoid problem gambling. Therapy plans can be employed in severe cases, where faulty cognition is challenged and coping strategies are devised. If not anything else, simply knowing how and why this behavior occurs and is reinforced can act as a secret weapon for every gambler looking for a way to stop! Reeti is an undergraduate B. A. student at St. Xavier’s college, Mumbai. She enjoys reading fiction novels, listening to music and binge watching ‘media content’ (also, making references about said media content). She is fascinated by why people behave the way they do and goes through random bouts of singing really cheesy pop- songs to irritate people. She is always up for a discussion on a range of topics, including the seemingly mundane ones.